GERMAN machinery maker KraussMaffei Group, which has three brands under its helm, is being bought by Canadian private equity firm Onex for EUR569 million from its owner Madison Capital, a deal that has been expected for some time. 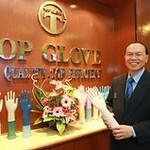 It is also moving the US operations of subsidiary firm Netstal Machinery. KraussMaffei Group, which markets KraussMaffei, KraussMaffei Berstorff and Netstal machinery, is the first European investment for Onex, which is expected to inject US$340 million into the business. The transaction is anticipated to close by March 31, 2013 subject to customary conditions und regulatory approvals. �KraussMaffei is a global leader in each of its three segments, with a decades-long reputation for technology and quality�, said David Mansell, an Onex Managing Director. �We look forward to working with Jan Siebert and his management team to further build on the company�s market leading position�. In 2012, KraussMaffei made successful steps to strengthen the business in its core markets as well as to expand its global presence in growing markets, particularly the BRIC countries and Asia. �Building on our recent success, we see good opportunities to further grow the company. 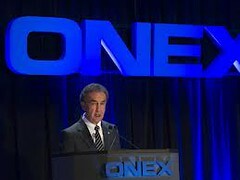 I am very pleased to be partnering with Onex given its track record and experience in our industry. I am looking forward to working with this experienced and successful company,� CEO Jan Siebert said. 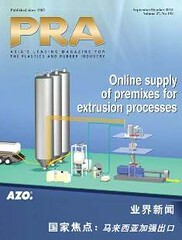 Onex is not a newcomer to the plastics market as last year it sold its stake in Husky Injection Molding and then acquired extrusion equipment supplier Davis-Standard. KraussMaffei, which employs 4,000 worldwide, posted sales of around EUR1 billion in the year ended June 30.